The latest Avengers: Endgame trailer was just the beginning. With the movie just six weeks away, the marketing and publicity campaign is in full swing. 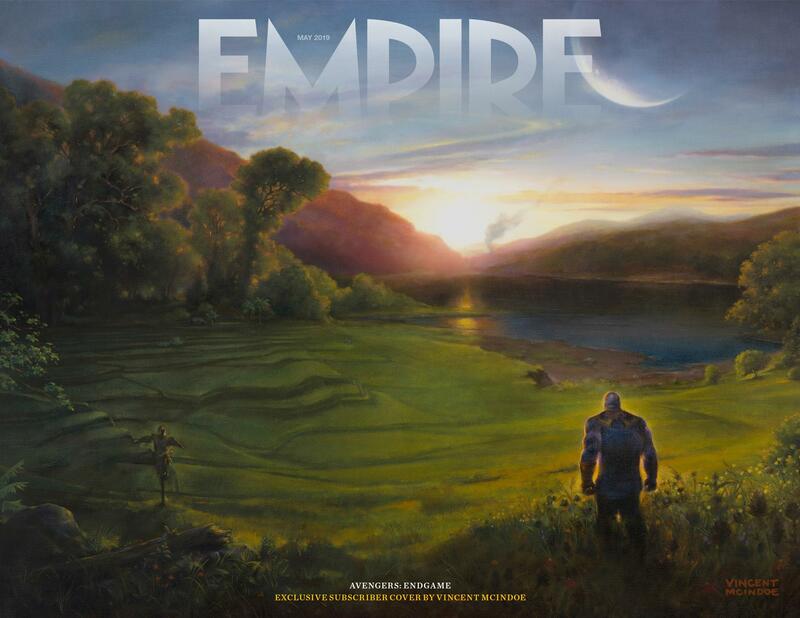 The fun continues next week when Empire publishes their cover story on the film. Today’s we have the subscribers-only cover. Artist Vincent McIndoe painted the picture of Thanos’ victory. He’s finally resting on what directors Joe and Anthony Russo have dubbed Titan II. It may also come to be known as The Garden. This artwork is absolutely stunning. Subscribers are sure to be thrilled when this issue lands on their doorstep in the coming days. It will be interesting to see what all Empire was told and can reveal in the upcoming article. Marvel Studios probably held back considerably, but perhaps there will be at least a small piece of information we do not already know. The new issue of Empire hits newsstands Thursday, March 21.